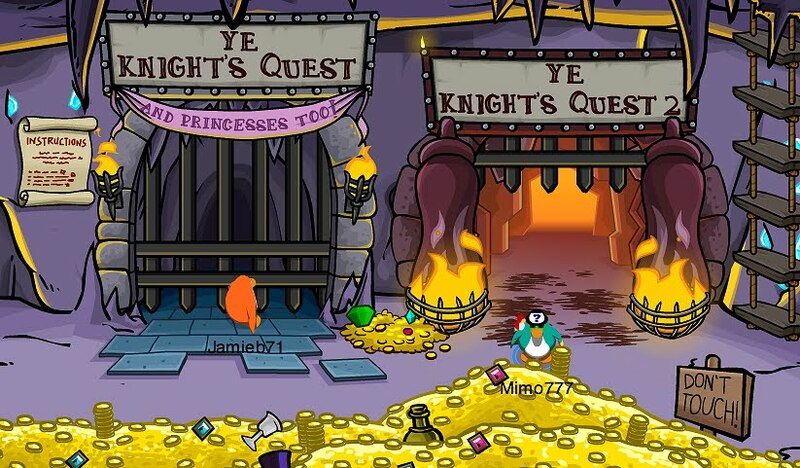 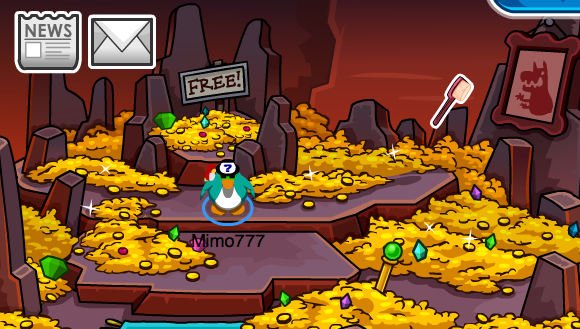 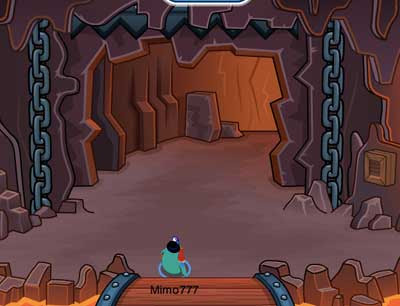 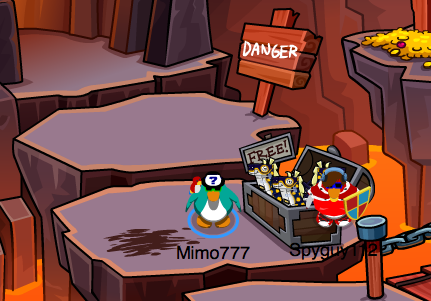 Club Penguin Cheats by Mimo777 Club Penguin Cheats by Mimo777: Club Penguin Medieval Party Ye Knights Quests #2 Cheats 2011! 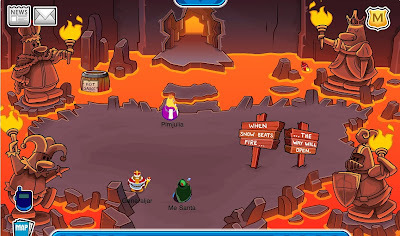 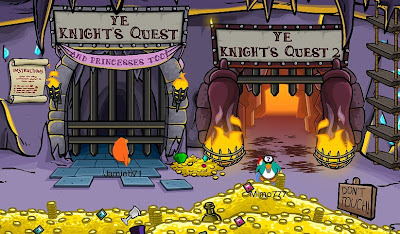 Club Penguin Medieval Party Ye Knights Quests #2 Cheats 2011! 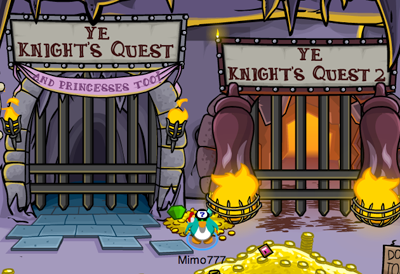 Here are the walk-thru cheats for the Members Only area and free items Cheats for YE KNIGHTS QUEST #2! 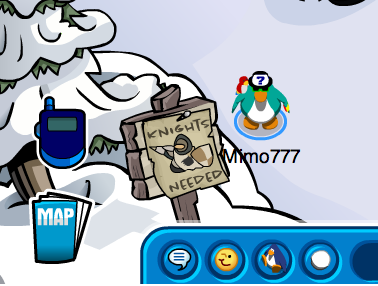 Throw snowballs at the barrel till its full. 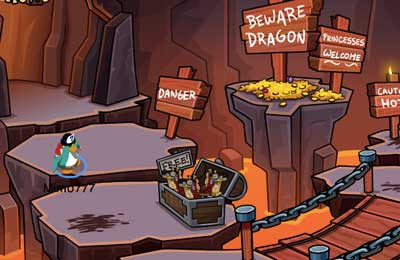 Then spray the dragon. 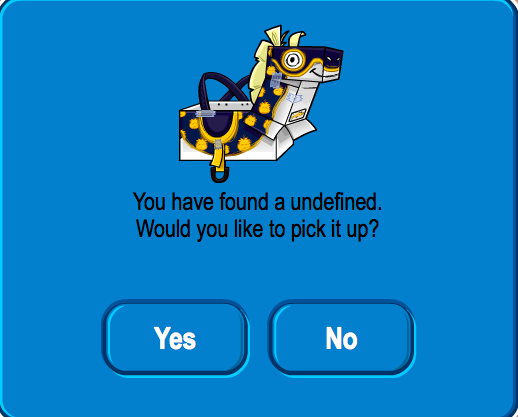 Now you can get the free item, the White Noble Horse. 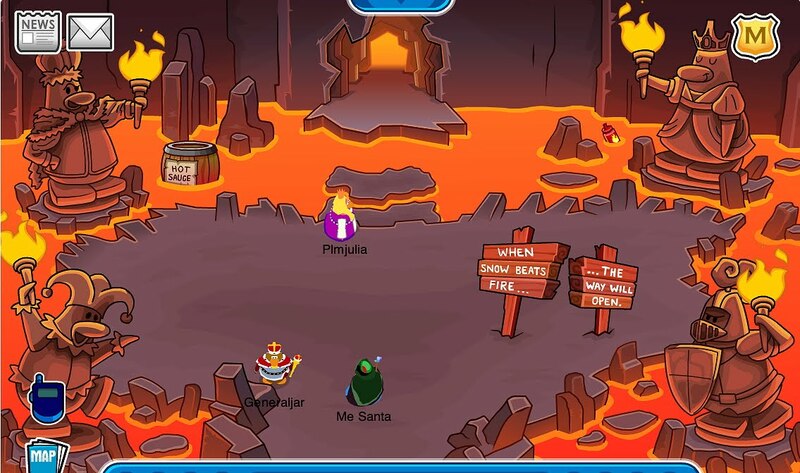 Go out thru the exit. YOU FINISHED! 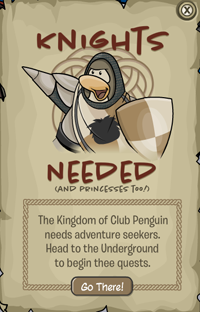 Are you having a hard time getting into quest three? 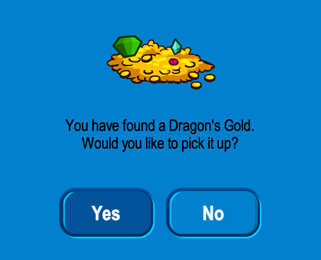 It won't let me in! 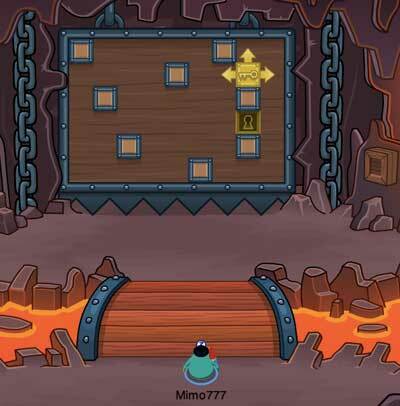 It just loads the whole time! 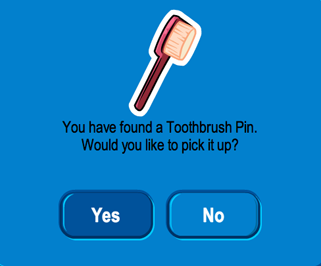 I didn't bother to pick it up, Who wants a silly toothbrush pin?